How do you tell if something is alive? The answer to this question should be fairly obvious, but a computer controlled starfish created by a Nottingham PhD student shows that reality isn’t always what it seems. 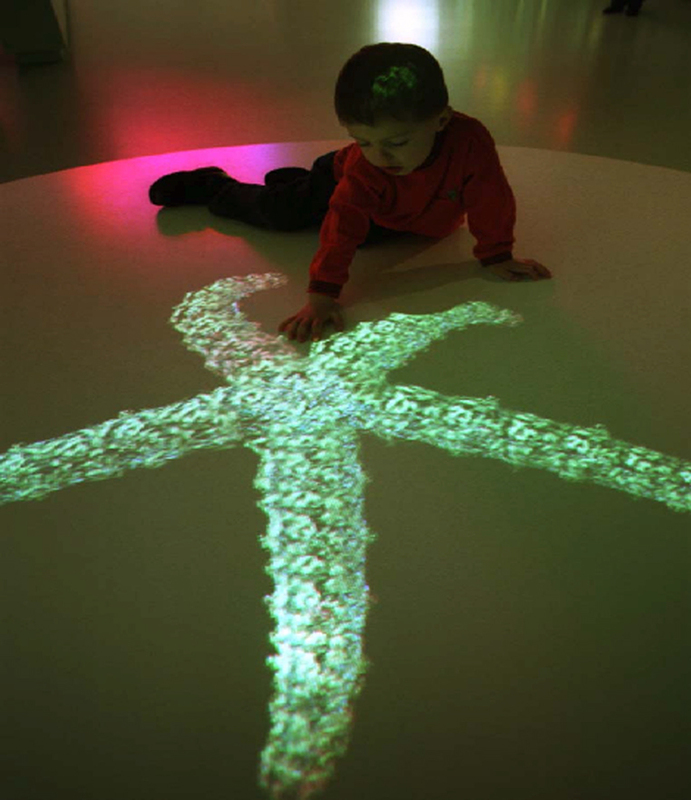 Whilst Richard Brown was a Research Fellow at the Royal College of Art, he created the computer-controlled installation called the Neural Net Starfish for the Millennium Dome in London. The starfish, seemingly embedded into a flat surface, responds realistically to the touch of visitors and was hailed by one national newspaper as the best exhibit in the Dome. It was re-shown in Brazil in 2012 at the Emocao Art.ficial Biennial. Richard is currently showcasing the larger-than-life starfish at a prestigious alumni exhibition in the Bonington gallery at Nottingham Trent University, which includes work by some of the biggest names in British art and design. Richard is currently a PhD student in the Mixed Reality Lab at The University of Nottingham where he is researching how multi-model technology can be used to produce new forms of performance and improvisation. If you are interested in seeing Richard’s work in person, then the month-long exhibition, Since 1843: In the Making, is open now. It brings together artworks by more than 100 former students to illustrate the impact of the school on the visual arts and creative industries nationally and internationally. Nice work Richard…truly amazing! Using computers and software to blur the boundaries between alive or dead…nice!